London and Kent Construction Ltd is the leading provider of general building services, with extensive experience in the restoration of properties needing structural repair or alteration. Buying a property is a costly business. For many inhabitants of London and Kent the best, if not the only, way to afford a property in the area is to buy and renovate or to alter an existing property to better suit their needs. However, renovation isn’t always a simple process; often our clients come to us after they have started a “simple” project that subsequently compromised the structure of the building. No matter what size your project is; from small jobs, such as wall removal and chimney exclusion, to bigger structural alterations and repairs, London and Kent Construction’s team members are experienced, skilled and friendly professionals. 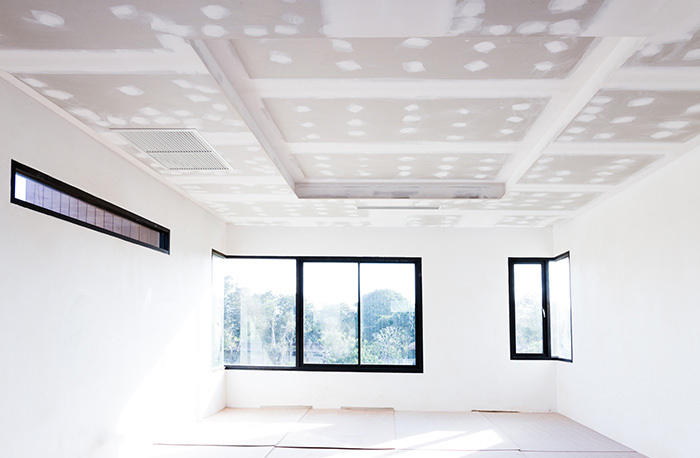 We are not oracles but our years of experience in building repair services mean that we are able to foresee most potential pitfalls and make allowances for them in our initial quote with regard to both time and cost. To find out more about our structural alteration and repair services, or to check whether we provide local building services in your area, get in touch. As general builders we carry out all types of structural alterations as some of these pictures show you. You can see the finished articles in the extensions page. Whether you want a through lounge, walls taken out to gain access to new extensions or single doors turned into double doors we can help. We can also remove chimney breasts and carry out all making good. Don’t let any DIY builder do this as there is more to it than taking a big hammer to it! The photos below show steels supporting a first floor ceiling. The steels rest on pad stone and then the top of the steel is dry packed between the steel and the brickwork with sand and cement to reduce shrinkage.